Apple (ME088) iMac 27" quad-core i5 3.2GHz/8GB/1TB/GeForce GT 755M 1GB - 1шт. + Apple (MF639) Thunderbolt Cable (2.0 m, Black) - 1шт. + Blackmagic UltraStudio Mini Monitor - 1шт. Apple (ME089) iMac 27" quad-core i5 3.4GHz/8GB/1TB/GeForce GTX 775M 2GB - 1шт. + Blackmagic UltraStudio Express - 1шт. + Avid Media Composer 8.0 with Software Licensing for PC and Mac - 1шт. 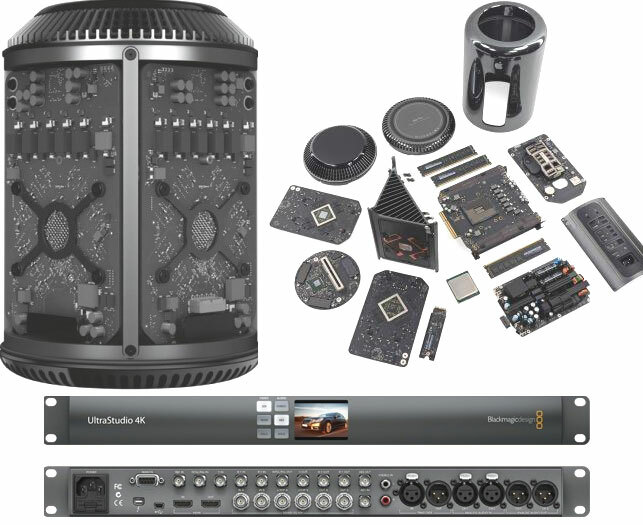 Apple (ME253) Mac Pro quad-core Xeon E5 3.7GHz/12GB/256GB/Dual FirePro D300 2GB each - 1шт. 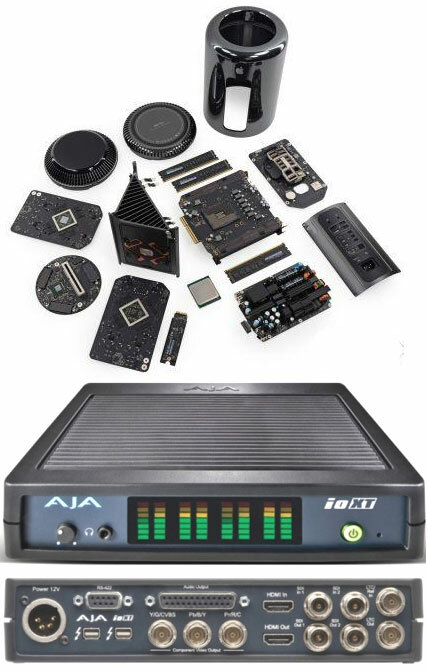 + AJA Io XT - 1шт. Apple (MD878) Mac Pro 6-core Xeon E5 3.5GHz/16GB/256GB/Dual FirePro D500 3GB each - 1шт. + Blackmagic UltraStudio 4K - 1шт.